In 2-quart saucepan, heat water to boiling. 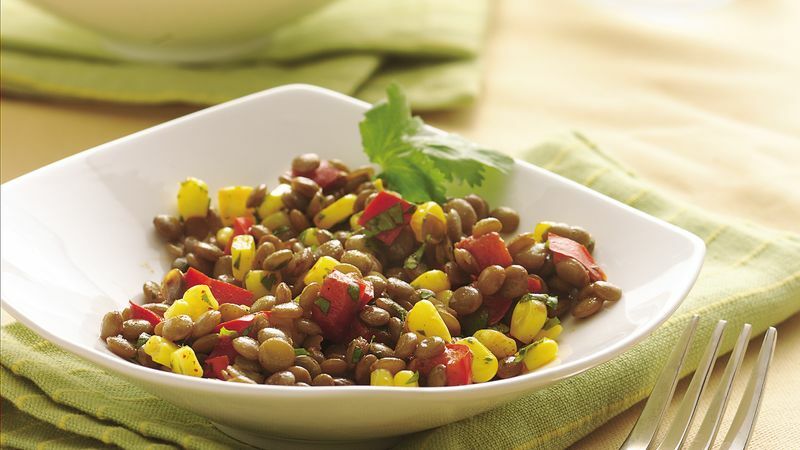 Stir in lentils and bell pepper. Reduce heat; cover and simmer 15 to 20 minutes or until lentils are tender. Drain if necessary. Stir in remaining ingredients. Cook over low heat 2 to 3 minutes, stirring occasionally, until corn is tender and hot. For more south-of-the-border spice, chop a jalapeño chile and add with the red bell pepper. This fiber-rich pilaf makes a terrific accompaniment to grilled pork chops or baked chicken.